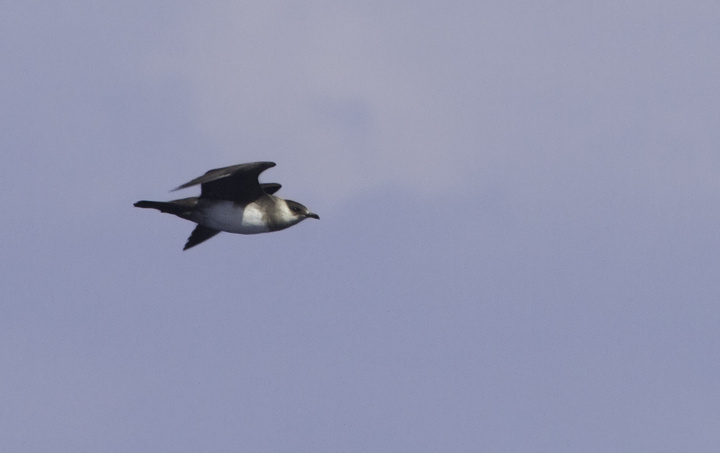 Outer Banks of North Carolina - 2 of 2. 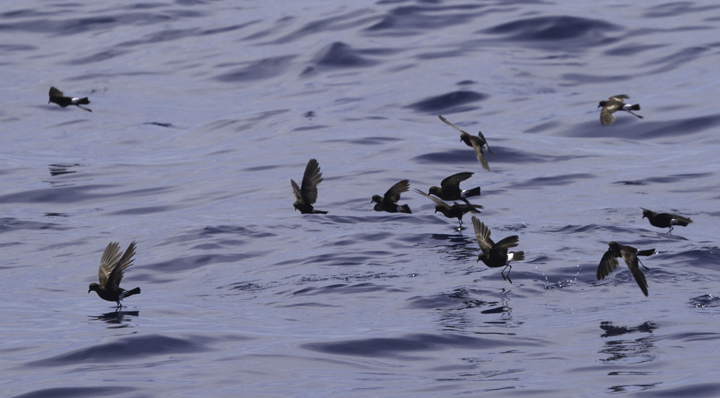 Last updated: 5/31/2011. 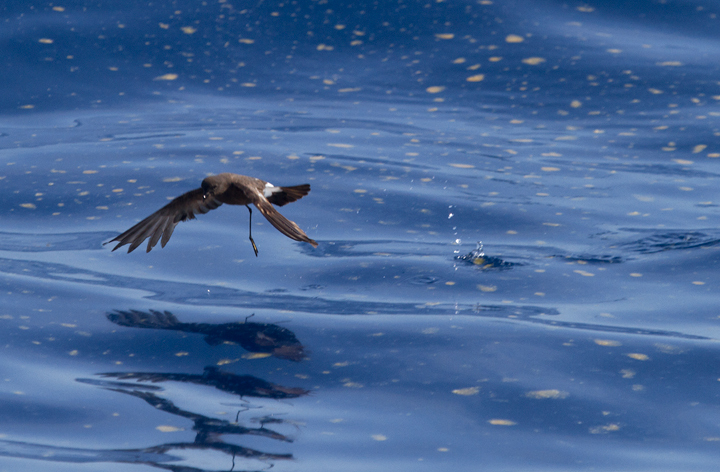 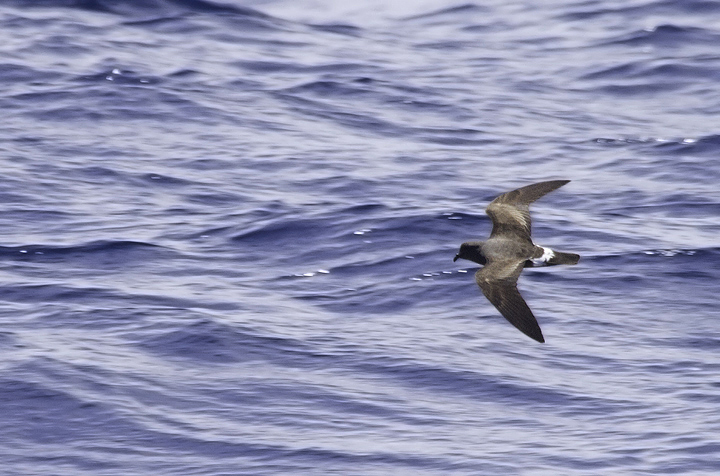 Above and below: A Band-rumped Storm-Petrel in fresh plumage off Cape Hatteras, North Carolina (5/28/2011). 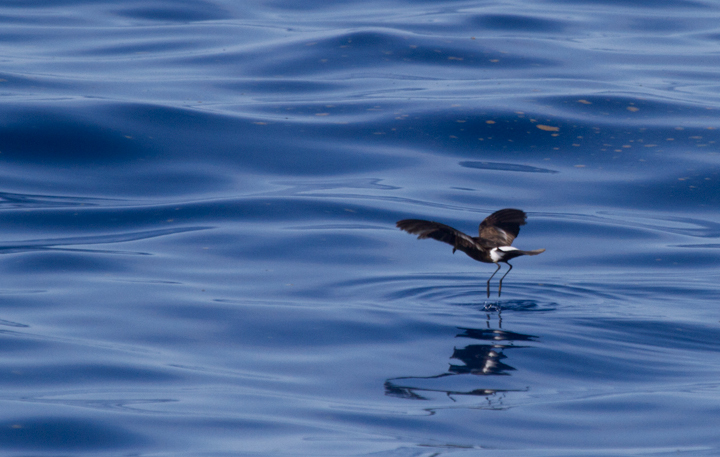 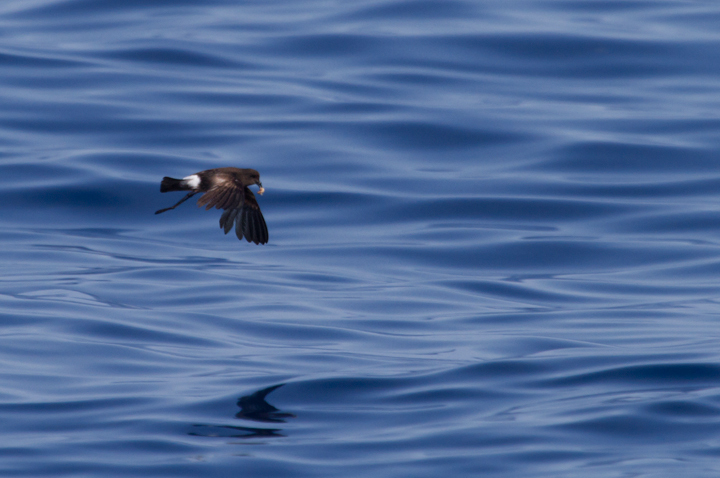 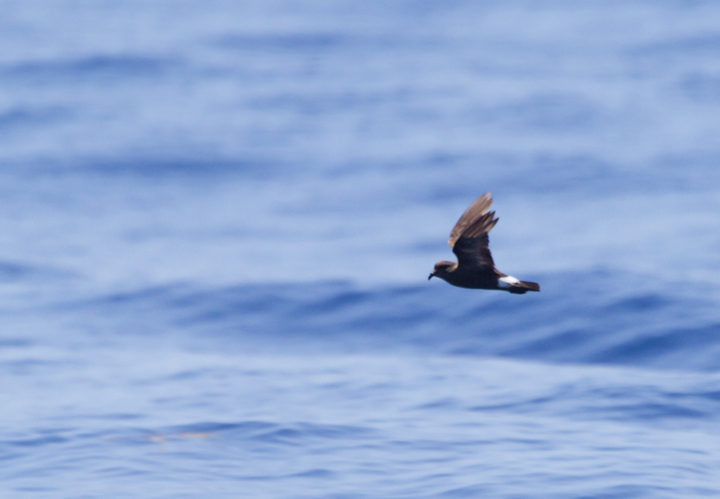 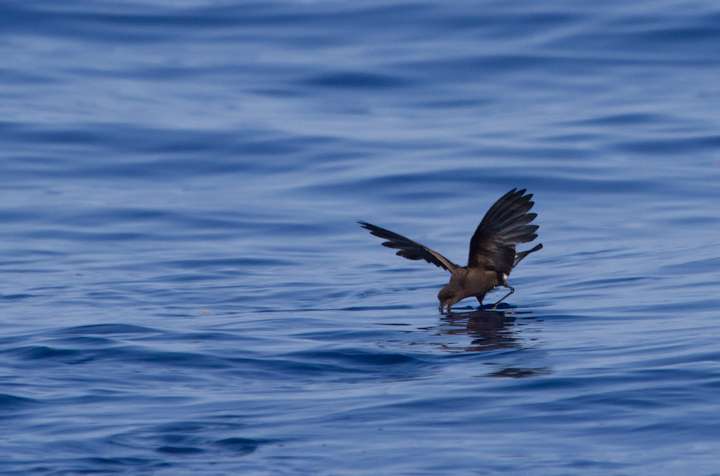 Experts appear to consider birds in this plumage here on this date to be probable Madeiran Storm-Petrel (O. c. castro). 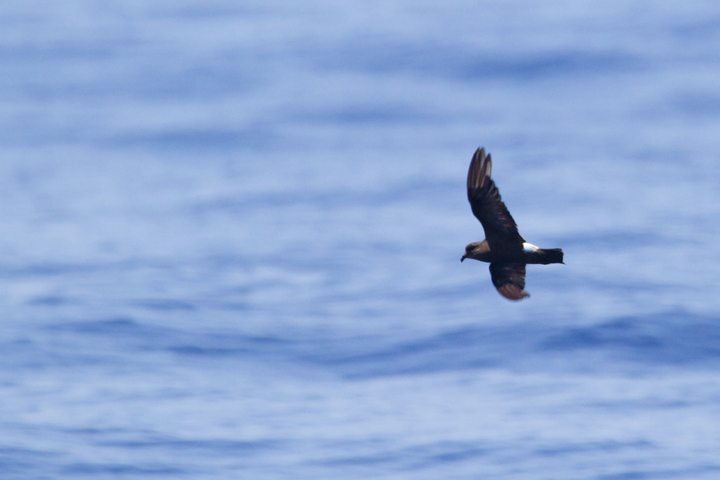 This summer-breeding population nests off Africa in the Madeira Archipelago as far south as the Canary Islands. 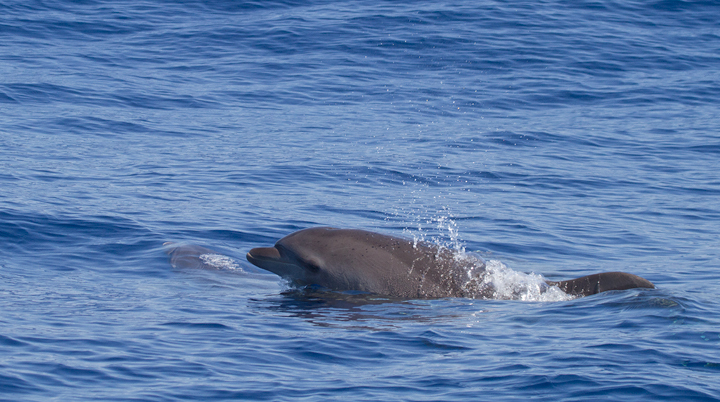 Below: Bottlenose Dolphins off Cape Hatteras, North Carolina (5/28/2011). 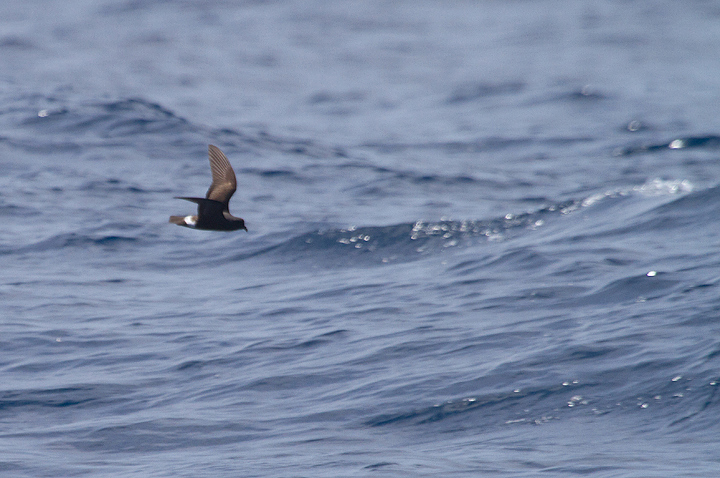 Below: Another Band-rumped in fresh plumage, probably Madeiran Storm-Petrel, off Cape Hatteras, North Carolina (5/28/2011). Below: Parasitic Jaegers off Cape Hatteras, North Carolina (5/28/2011). 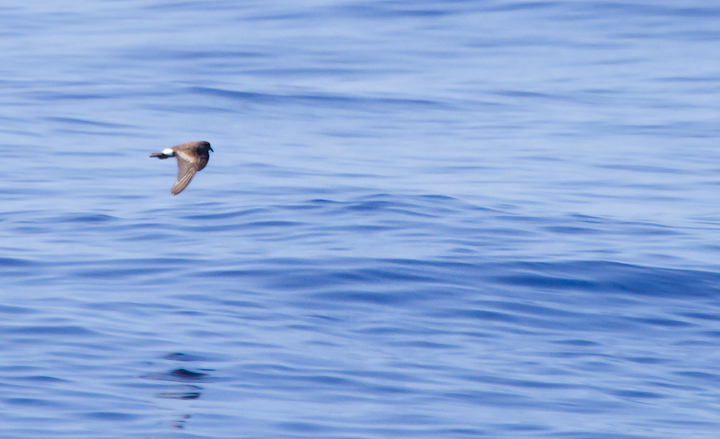 Below: A worn Band-rumped Storm-Petrel, presumably Grant's Storm-Petrel, far off Cape Hatteras, North Carolina (5/28/2011). 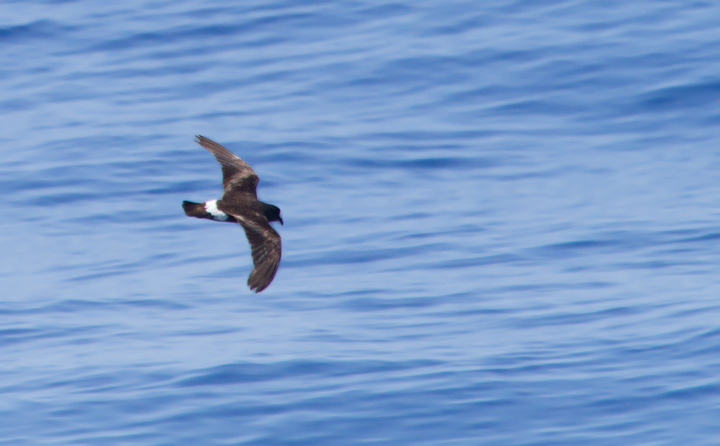 This population nests more widely in the Azores and south to the Canary Islands, mainly in October-November (Howell, Patteson, et al.). 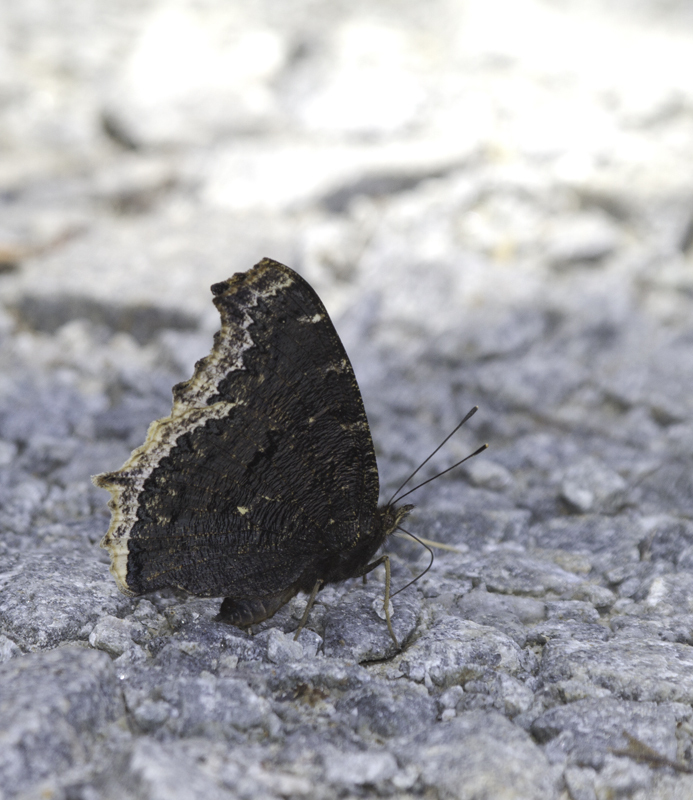 Below: An American Snout in Great Dismal Swamp, Virginia (5/27/2011). 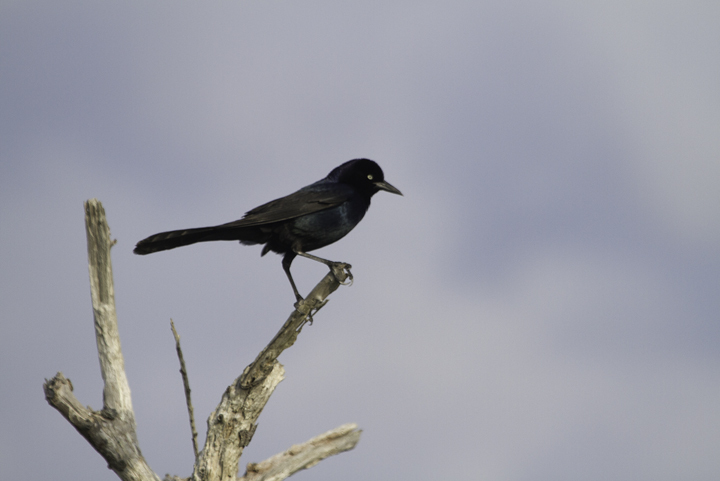 Below: A Boat-tailed Grackle at dusk on the Outer Banks, North Carolina (5/27/2011). 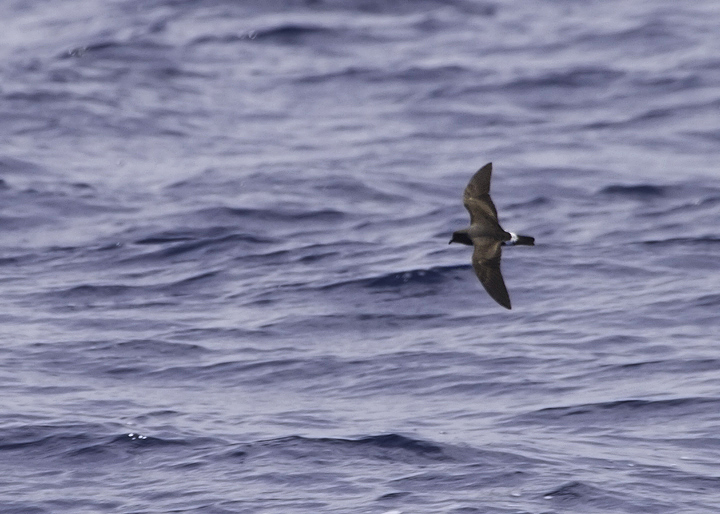 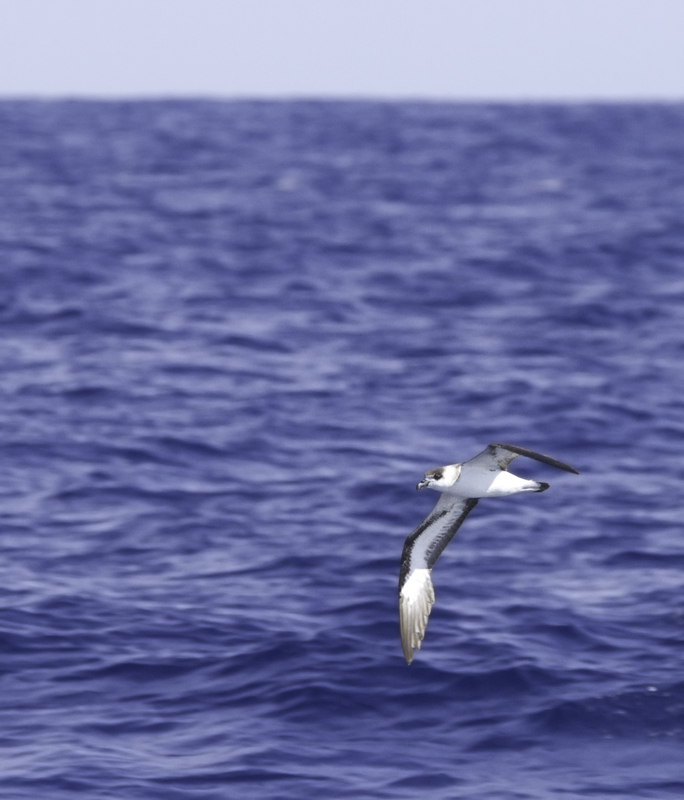 Below: A Cory's Shearwater (borealis) off Cape Hatteras, North Carolina (5/28/2011). 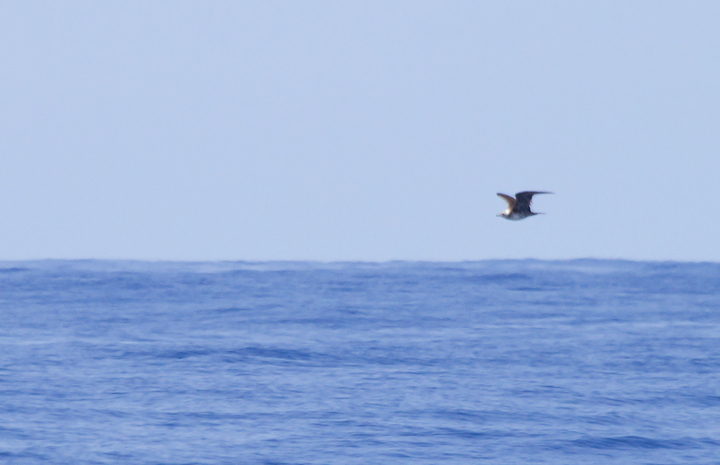 Note the difference in underwing pattern and bill size between this bird and the following Scopoli's Shearwater (diomedea). 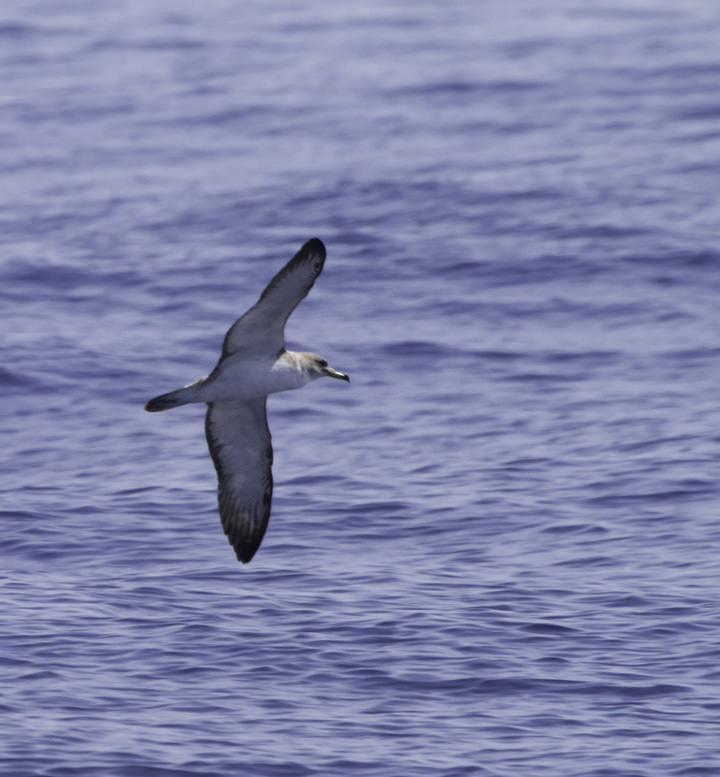 Below: A Scopoli's Shearwater off Cape Hatteras, North Carolina (5/29/2011). 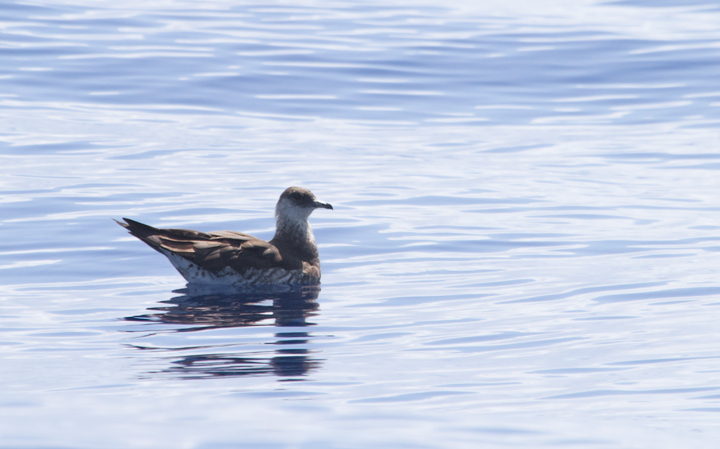 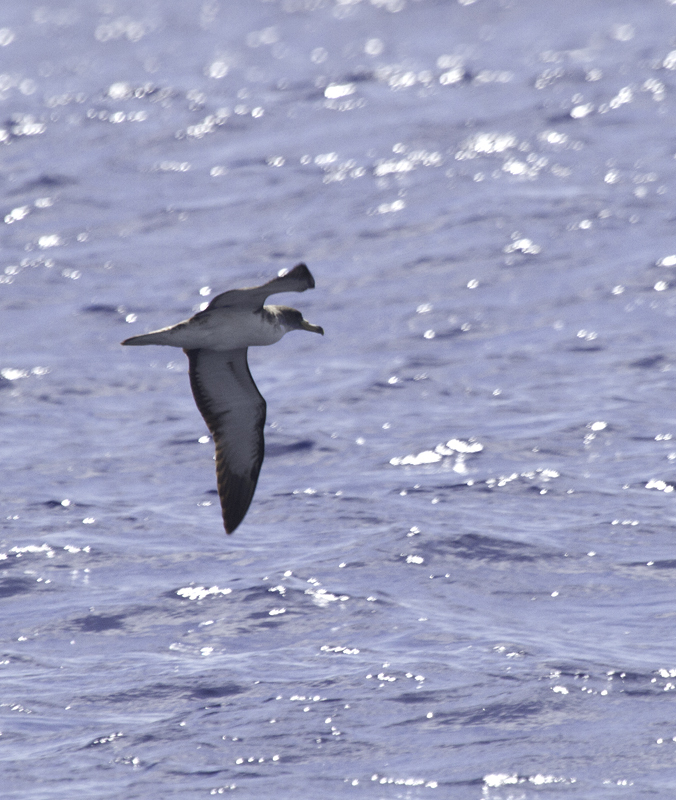 This is the Mediterranean form (diomedea) of Cory's Shearwater, which is a candidate for a future split. 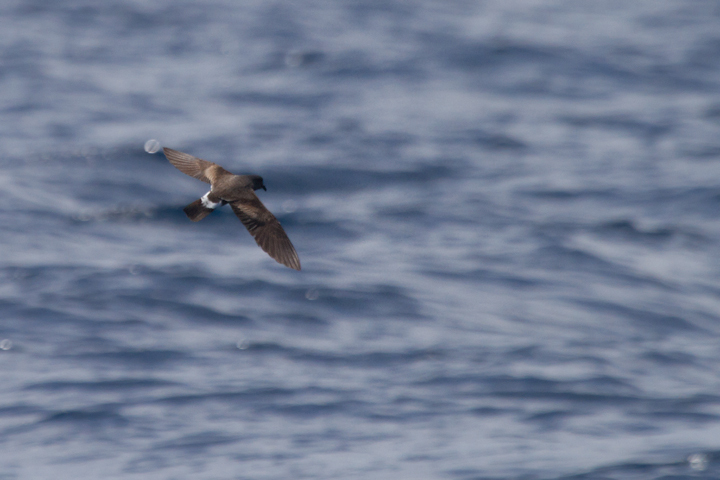 Note how the white extends into the dark primaries and its smaller bill. 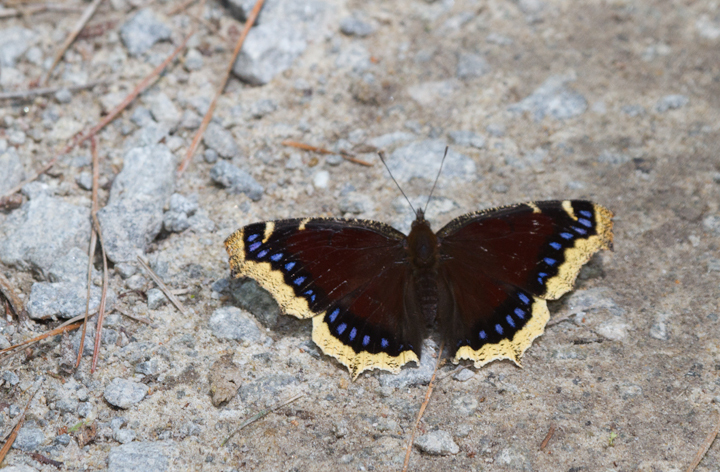 Below: Mourning Cloaks at Jericho Ditch, Great Dismal Swamp, Virginia (5/27/2011). 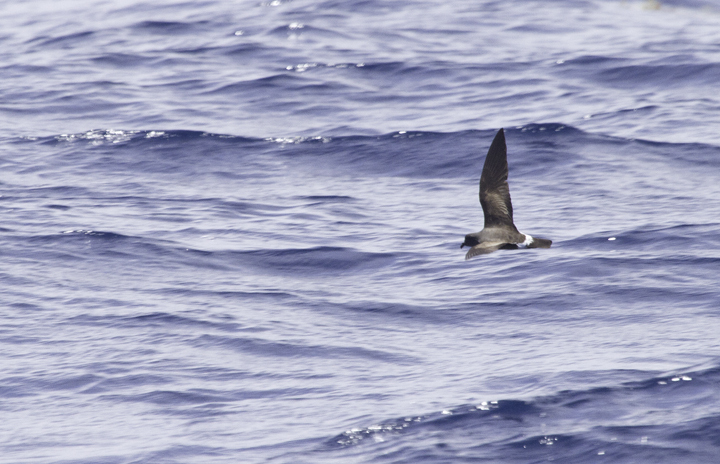 Below: A Black-capped Petrel off Cape Hatteras, North Carolina (5/27/2011). 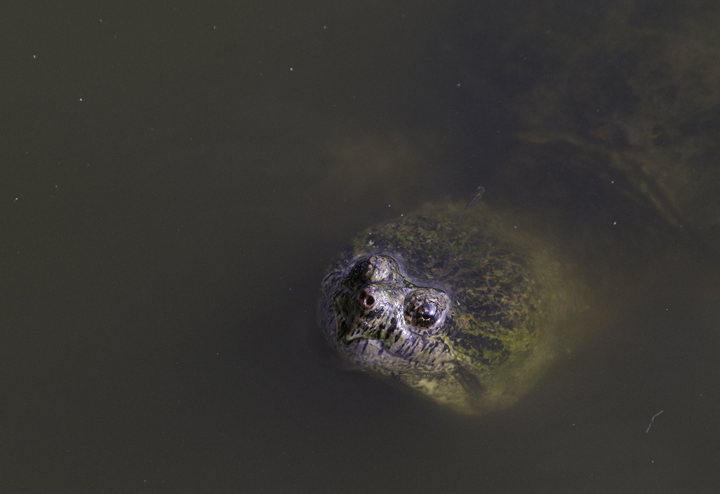 Below: A large Common Snapping Turtle on the Outer Banks, North Carolina (5/27/2011). 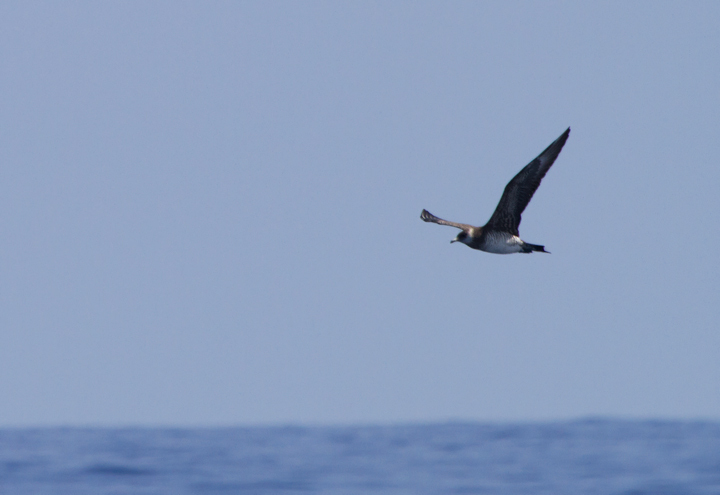 Below: A distant Long-tailed Jaeger off Cape Hatteras, North Carolina (5/27/2011). 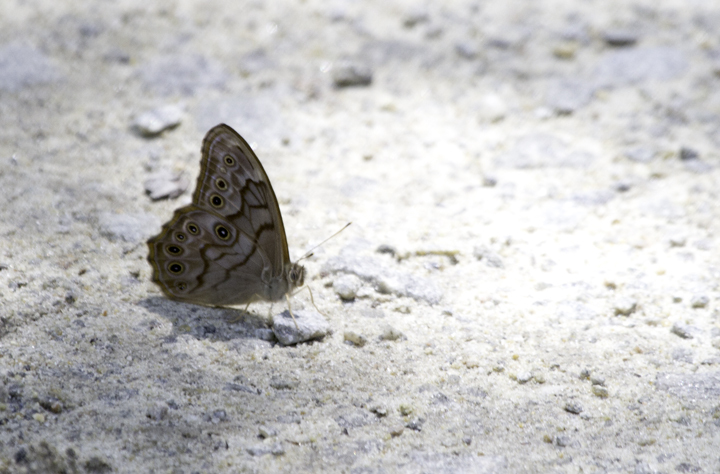 Below: A Creole Pearly-eye at Great Dismal Swamp, Virginia (5/27/2011). 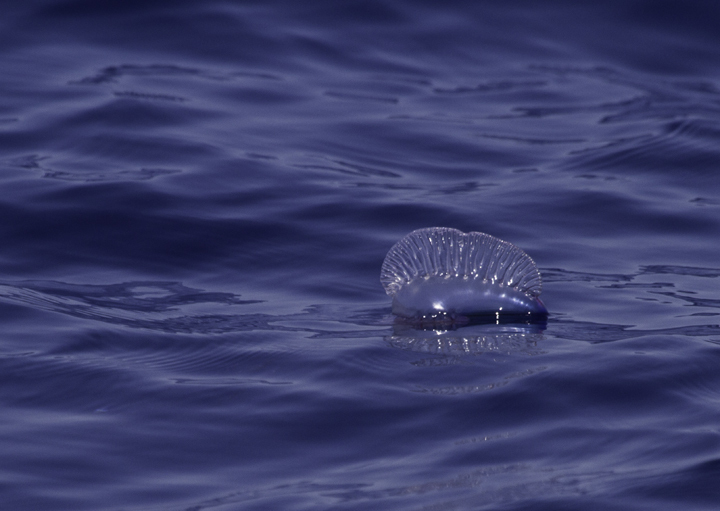 Below: A Portuguese Man-o-war off Cape Hatteras, North Carolina (5/28/2011). 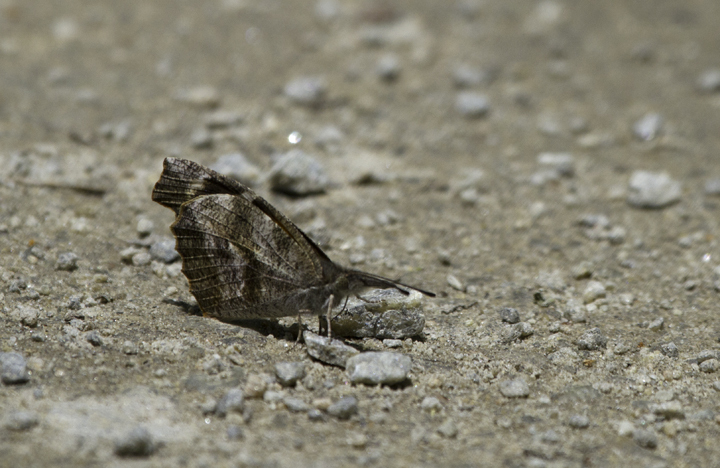 Below: A Common Wood-Nymph near Cape Pond, North Carolina (5/28/2011). 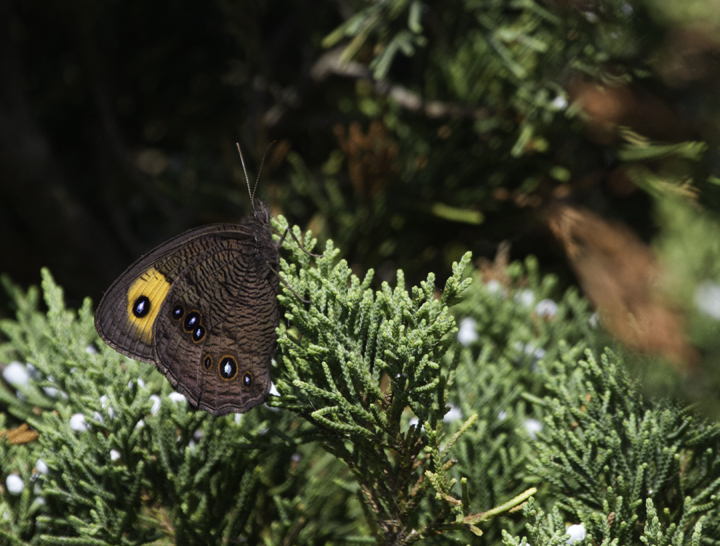 The strong orange area on the forewing marks this individual as belonging to the southern, or coastal, form. 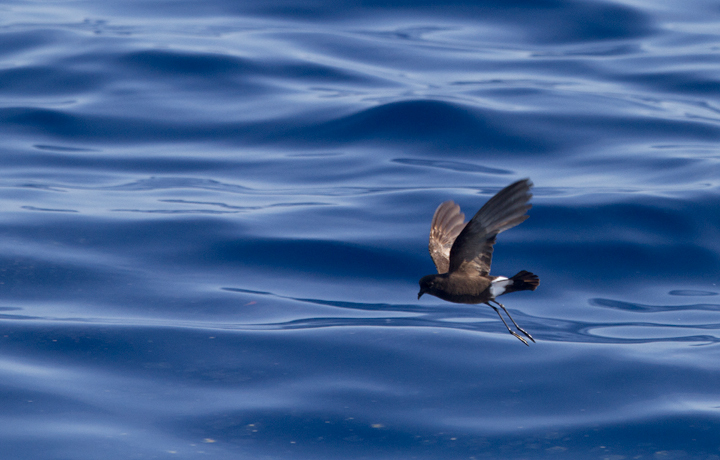 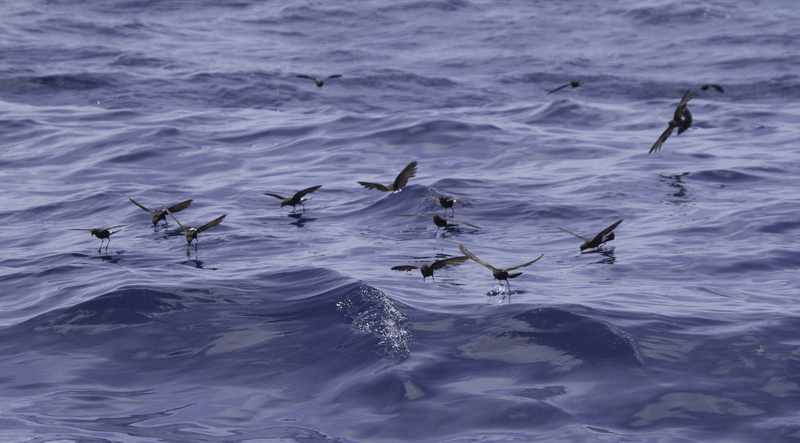 Below: A collection of Wilson's Storm-Petrel images from off Cape Hatteras, North Carolina (5/28/2011).